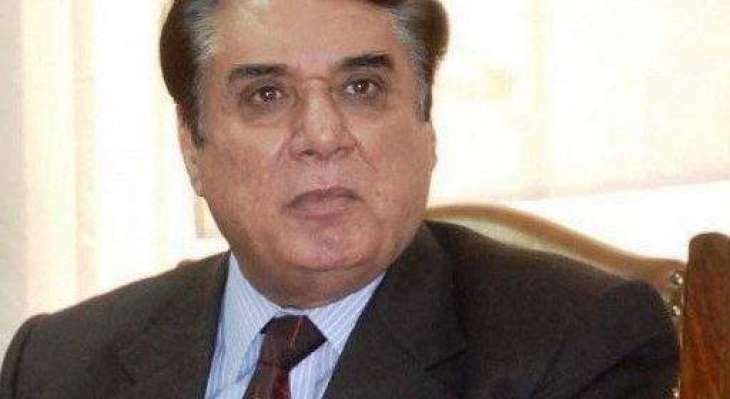 ISLAMABAD: National Accountability Bureau (NAB) Chairman Justice (r) Javed Iqbal has suspended NAB Lahore Deputy Director Muhammad Ramzan Khan with immediate effect on the alleged charges of inefficiency and negligence in the performance of official duties. An inquiry had been ordered for completion of all legal formalities, including giving the opportunity to Ramzan Khan to defend himself against the charges per law. Moreover, a formal inquiry had also been initiated against NAB Sukkur Deputy Director Kashif Mumtaz Gondal, who was suspended with immediate effect on the directives of the NAB chairman for three months on the alleged charges of misconduct. Moreover, following the directives of the chairman, the bureau had proceeded against 85 officers/officials of NAB. Out of 85 officers/officials of NAB, around 23 officers/officials were removed from service, while 32 officers/officials were awarded minor penalties. On the occasion, Justice (r) Iqbal said that self-accountability was necessary to do justice to the bureau’s slogan of “Accountability for All”. Meanwhile, the NAB’s regional board ordered an investigation against officials of various departments in Khyber Pakhtunkhwa (KP) on the allegation of indulging in corruption, malpractice and abuse of power. During the meeting, approval was also given for initiating an investigation against employees of the KP Tourism Corporation. In addition, inquiries have also been initiated against Dera Ismail Khan DEO for misappropriation of funds and misuse of powers. On the other hand, an investigation had also been started against Town Municipal Administration (TMA) Nowshera administrative officer for allegedly indulging in corruption and misusing his powers. An order was also issued to file a supplementary reference against Shangla’s accounts officer for having assets beyond means.